For those living in Oregon City, OR and Portland, OR it is imperative you know that Zinsco and Sylvania electric panels are dangerous and must be removed immediately. Both Zinsco and Sylvania electric panels have been recalled and deemed obsolete. To better protect you and your family, inspect your electric panel today to ensure it is not one that is known to catch fire and threaten the well-being of those you care about the most. 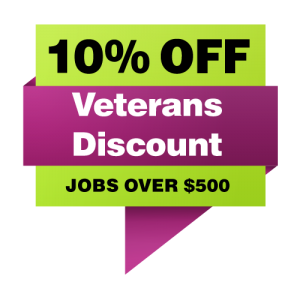 If you are in the market to buy a home in the greater Portland area, conducting a thorough inspection of the electrical panel and electrical system to ensure there is not a Zinsco and Sylvania electric panel is crucial in making a sound property investment. Zinsco panels are also known as Magnetrip panels as well. If you are unsure of the type of electrical panel your prospective home has, give us a call and we would be happy to conduct a pre-purchase electrical inspection to give you peace of mind. Zinsco electrical equipment is extremely dangerous because of its tendency for overheating. There are structural issues with the breaker contact points that cause Zinsco electrical panels to overheat resulting in fire. These electrical panels have been abandoned by the industry, and it is difficult to find an electrician that will service this panel. Any reputable electrician will insist on its removal and replacement because of the huge risk of keeping it within your property. Was Your Sylvania Electrical Panel Recalled? One sure sign that your electrical panel is dangerous is by the presence of soot outside of the panel. The presence of soot indicates a breaker blow out which could have easily started a fire. If you notice blown out breakers, or soot present in or around your breaker box, call a licensed electrician to remove the hazard promptly. Zinsco, Sylvania and Magnetrip panels are highly dangerous and should only be removed and replaced by an experienced electrician. Failure to remove one of these hazardous electrical panels could result in fire and major catastrophe. 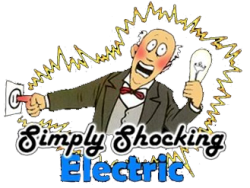 Don’t risk it, and call Simply Shocking today to replace your Zinsco, Sylvania or Magnetrip electrical panel today!